Today, we are celebrating Dr. Muneera Bano, a veteran researcher in computing and currently a faculty member at the Swinburne University of Technology, Australia. Dr. Muneera has over a decade of experience in academic teaching, research, supervision, and academic leadership. Before starting her teaching career, Muneera worked as a Post-doctoral researcher and ‘Learning and Teaching Adjunct’ at the University of Technology, Sydney from where she graduated in 2015 with a Ph.D. in Software Engineering. This is Dr. Muneera’s story in her words! 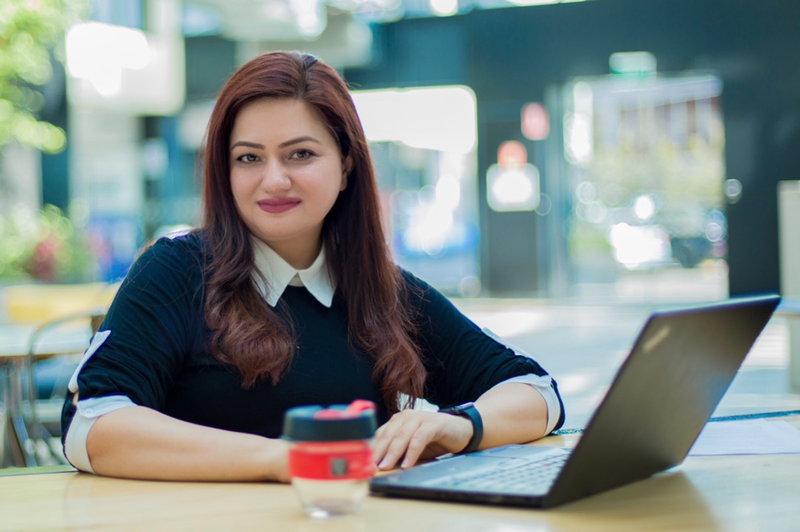 During her research career, Muneera has also received prestigious recognition for her work, including being named as a finalist for Google Australia’s Anita Borg Award for Women in Computer Science, Asia-Pacific 2015. She was the recipient of Schlumberger’s Award for Women in STEM (2014 and 2015) and was given the ‘distinguished research paper award’ at International Requirements Engineering Conference held in August 2018. She has been announced as Superstar of STEM for 2019–2020 by Science Technology Australia. During the early stages of my career when I realize that I have to apply my knowledge of computing and engineering principles to my life. I have to deal with every challenge and problem with the same systematic and analytical approach as I do with my computing projects. This lead to a new perspective on life and every challenge became an adventure and learning moment. Computing and technology offer creative opportunities that can push the boundaries of imaginations when we provide innovative solutions to our current problems. I was fascinated by the digital world that is a universe on its own, a creation of human genius, and the impact the technology is having on shaping society. As academic teaching in computing and engineering discipline, I felt that there was a strong gender stereotype associated with the teaching capabilities of female faculty. I challenged those stereotypes in all aspects of my academic career whether it was as a teacher, researcher, supervisor or in leadership roles. The critical thing is to keep on trying even if you fail in your efforts. Every failure is a learning opportunity to improve your self. I still vividly remember the joy and pride I felt when I was awarded a Ph.D. in software engineering at the University of Technology Sydney. My Ph.D. was not just a degree but a journey that started from traveling to Australia from Pakistan and overcoming social, cultural and psychological barriers to achieve my goal. Life is a journey full of challenges but most of the time they are the barriers we create for ourselves. The moment we develop resilience and overcome our fears of failure, everything is possible.